After using a ridiculously cheap eyebrow pencil that barely matches my eyebrow colour for far too long I decided it’s time to find a new product. To be honest, I didn’t really look at any reviews of this product or any others, but nonetheless I enjoyed it. 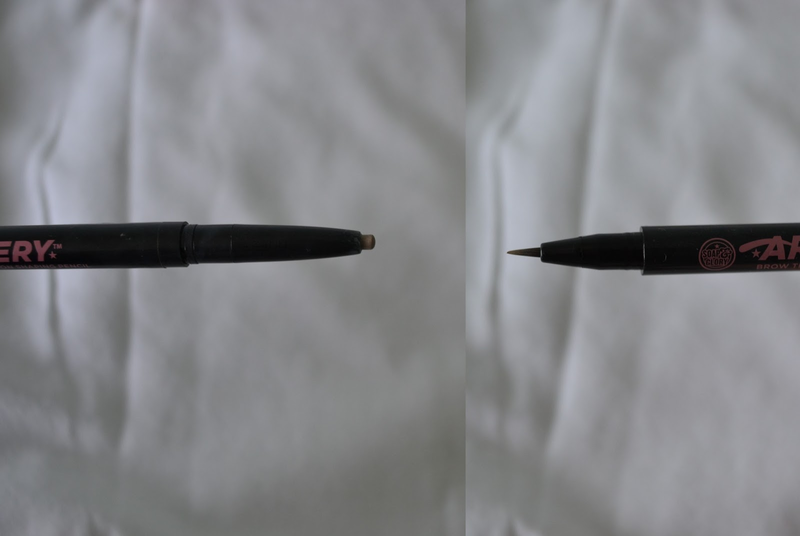 The idea is to use the liquid brush end to draw out the outlines of your brow before using the pencil end to colour in. The first two lines on the image of my hand above is the liquid, outlining end and the bottom line is the pencil, colouring in end. 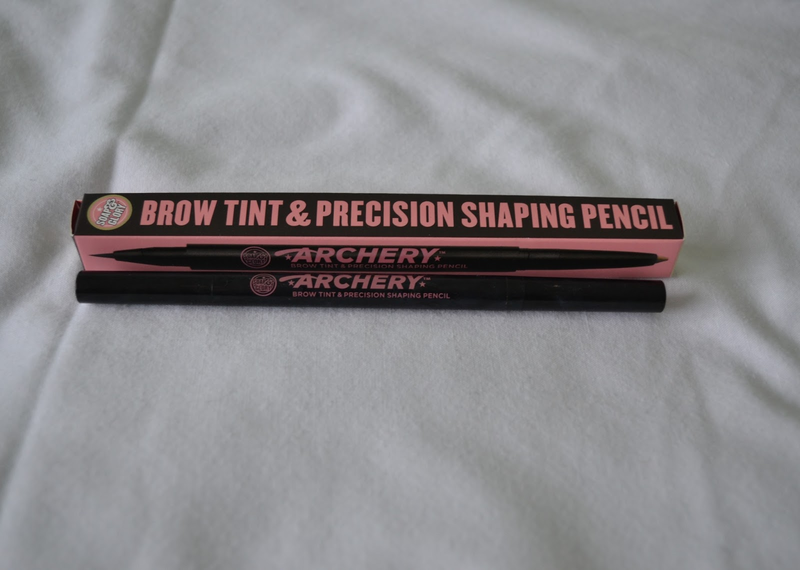 I like the idea of shaping out my eyebrows however when using this just for school I don’t really bother with that and instead just use the pencil end. The pencil end twists to reveal more so I expect this will last a pretty long time, however you have to be careful your twist is fully back to prevent cutting off some of the pencil like I did when I took these photos, silly Lucy. 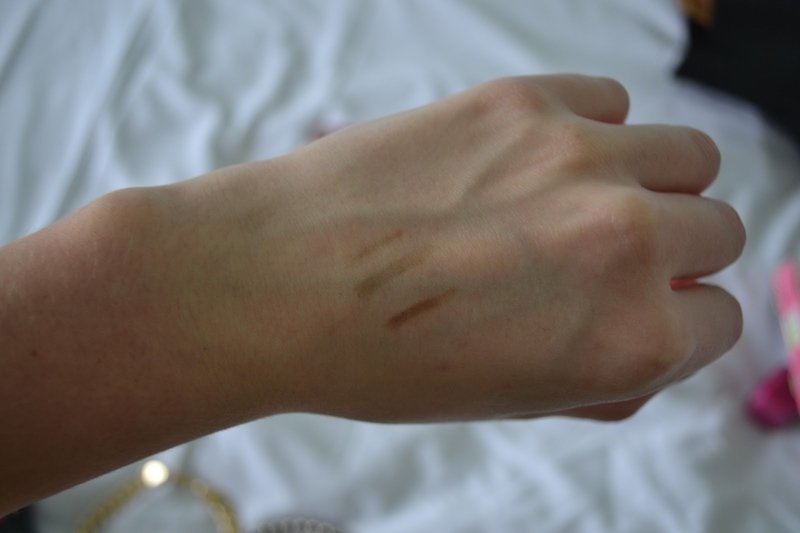 The colour suited my eyebrows well and is a lot better to the previous pencil I used. It lasts a whole day at school and I’m pretty sure it would last a full 12 hours. The packaging is great and I don’t imagine that it would break. Overall, I am really impressed with this product and I will purchasing another soon!